The military life let Rodney see the world and allowed him to lift weights, but the job took its toll on his private life. See how he took control, got ripped and honored his commitment. When I was a junior in high school I decided to take a weight training class. During that time I noticed I was getting stronger and my body was changing. I decided to take it again when I was a senior. I started to surpass my goals from the previous year. People in school started to notice. After high school I stopped working out for more than a year and then I decided to go in the Army. In the beginning I worked out every now and then. I didn't take it too serious. I eventually deployed to Bosnia, in which I had the time to work out. That's when I started to take supplements. At that time MuscleTech was pretty much king. So I was taking that. Again I noticed a difference in my strength and the way I looked. My motivation was just seeing a transformation in myself. I had a good workout partner at the time too. 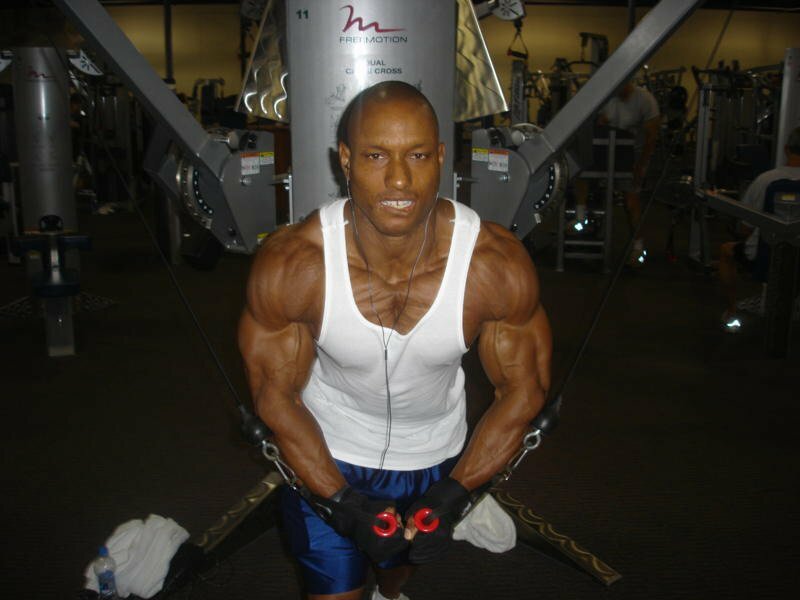 Of course the greats Arnold Schwarzenegger, Kevin Levrone, and Lee Haney were a definite inspiration. From then on I was hitting the weights off and on. 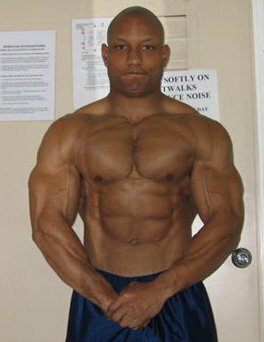 The last 7 years I really have been constant in the gym. The hardest part was being away from family. At that time I had a fianceé, so that was hard. I was homesick for about the first year of joining the Army. But then you get used to the lifestyle and all. I guess that's what the 30 days paid vacation per year is for, to visit your loved ones! The biggest obstacle to me personally is being away from my daughter. Since I am no longer married to her mother and live in different state. I do manage every time I get leave (vacation) to go and see her. I have since moved from 24 hours away to 5 hours away from her. Successful missions are decided in the details. Soldiers carry that discipline into the weight room and produce unbeatable results. When I'm eating right most of the time this is what I eat. That's a good question. I get asked if I compete and that I should compete all the time. I'm pretty much undecided as of right now. I love everything about bodybuilding. I still have a ways to go. If I step out on stage, I want to win. I have to make sure that I'm 100% ready. Arnold Schwarzenegger, Kevin Levrone, Lee Haney, David Henry, and Ronnie Coleman. Dedication, you have to be committed to your training. Half-assing your workout is not going to cut it. Don't expect to see results right away. It takes time, so don't get unmotivated.